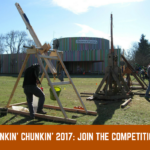 The Science Factory in collaboration with Eugene Makerspace presents the Fifth Annual Punkin Chunkin competition. Team setup runs from 8:30–11:30am and the contest officially begins at 12 noon. 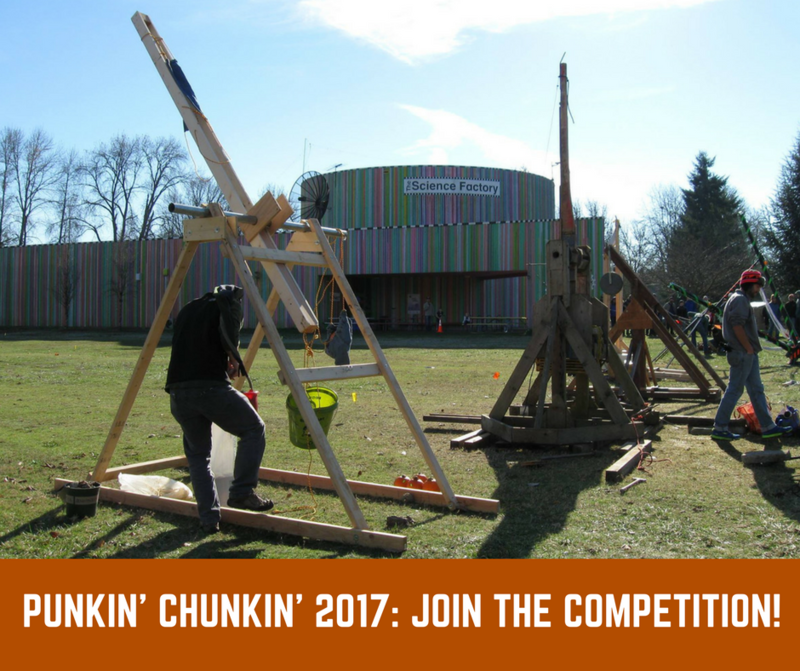 Teams of up to six competitors are welcome to sign up and compete for fame, glory, and the coveted Golden Jack O’Lantern. Competitors will receive a free pass to our LASER LIGHT SHOWS in the Planetarium this Winter! Please review all of the rules on the application form and register your team. Need some ideas, inspiration, technical assistance, or maybe just a place to work? Eugene Makerspace is happy to help out. Visit us at one of our Open Hack Nights, every Tuesday and Friday at 6. Need materials to build your pumpkin (or apple) chunker? Ask the Science Factory about discounts or donations from MECCA (Materials Exchange Center for the Community Arts) and BRING to get started.